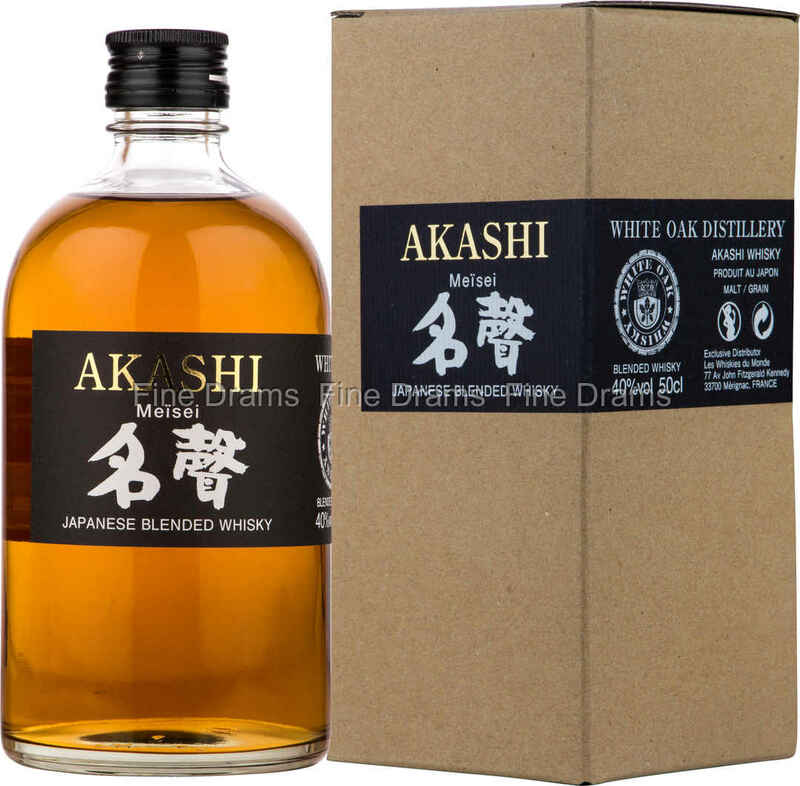 A cracking blended Japanese whisky from Akashi. Meïsei translates roughly as “famous” or “celebrity”, and the fame is well earned, with 45% of this whisky made up of single malt matured in American white oak, compared with 30% in the standard edition. This whisky was originally a limited edition release for the French market, but luckily we’ve managed to get our hands on a few bottles. On the nose, this whisky has tremendous aromas of woodspice: vanilla, nutmeg, anise, cinnamon and cloves. This is joined by a sweet cereal caramel note, and a crisp toasted bread aroma. The palate is creamy and drinkable, matching the nose with rich vanilla, toffee, salted caramel, and warm, dusty oak. The finish is short, sweet and vanilla-rich. A lovely Japanese blend, and an upgrade on the standard edition.